All the events, times, and where to watch it all. E3 2016 kicks off on June 14. But the press conferences start a couple days before. 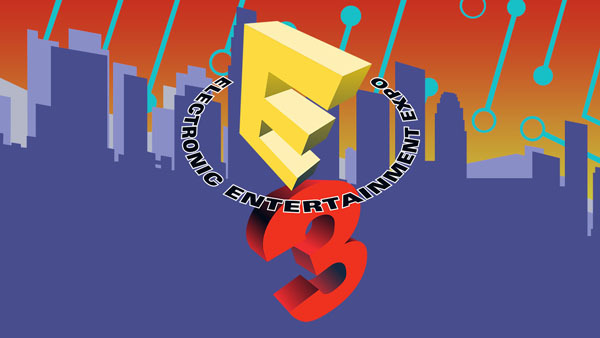 Get our annual E3 press conference and streaming schedule below to follow it all. Electronic Arts will showcase “games launching later this year and next, with a few surprises from games beyond that.” Titles confirmed to appear include Battlefield 1, Mass Effect: Andromeda, and Titanfall 2. Possible appearances include Visceral Games’ Star Wars title and the EA-published title from Hazelight. Titles confirmed to appear include Dishonored II. Rumored appeareances include a The Elder Scrolls V: Skyrim remaster and Arkane Studios’ Prey 2 reboot. While not at E3, Japanese publisher Kadokawa Games will hold its own press conference during E3 time featuring the latest information on new titles like “Demon Gaze 2, God Wars: Beyond Time, Root Letter, and so on.” Other possible appearances include The Legend of Heroes: Trails in the Sky the 3rd Evolution and Reco Love for PS Vita. Much has leaked about Microsoft’s press conference in advance. The company is expected to showcase a slimmer Xbox One, Dead Rising 4, ReCore, Forza Horizon 3, and State of Decay 2, as well as a possible Battletoads revival and an Ori and the Blind Forest sequel, and its stage will feature appearances by Final Fantasy XV, The Division, and Battlefield 1. Additionally, Gwent, the Witcher 3 card game gone standalone, is also expected to appear. Finally, it is expected that Microsoft tease its more powerful Xbox One, code-named Scorpio. Outside of all this, expect appearances from Gears of War 4, Scalebound, Halo Wars 2, and other previously announced Xbox One titles. This year’s edition of PC Gamer’s annual E3 event will include new announcements, first-looks, exclusive content, and chats with “a few legends” of PC gaming. Developers announced to be taking the stage include Bohemia Interactive, Relic Entertainment, Tripwire Interactive, Cloud Imperium, Studio Wildcard, TaleWorlds Entertainment, and Torn Banner Studios. Confirmed appearances include Ghost Recon: Wildlands, Watch Dogs 2, South Park: The Fractured But Whole, and For Honor. Ubisoft’s new IP due out by March 2017 will likely also appear. Possible appearances include Detroid: Become Human, Gran Turismo Sport, Gravity Rush 2, Horizon: Zero Dawn, The Last Guardian, and PlayStation VR. Rumored appearances include Dead Don’t Ride from SIE Bend Studio, a new Crash Bandicoot, Knack 2, and God of War IV. 11:00 a.m. – VR Surprise! 12:20 p.m. – Surprise Xbox game! 4:00 p.m. – Surprise Ubisoft game! 4:20 p.m. – Surprise Sony game! 4:00 p.m. – Up at Noon LIVE! YouTube Live at E3 kicks off with Injustice 2 when Ed Boon comes by to debut exclusive new gameplay footage. Plus, don’t miss the latest on Kanye West’s Only One game. Then we’re onto the announcement and first look at the next game from Croteam. Also don’t miss news on Lego Worlds and a countdown to Xbox with special guests Kyle Bosman (Easy Allies), Alanah Pearce from IGN, and Burnie Burns from Rooster Teeth. Plus, JackSepticEye breaks down his most anticipated games of E3 2016! Live from the Galen Center, find out about the future of Xbox with Phil Spencer, Gears of War 4 and more. Don’t miss a very special hour of YouTube Live at E3. Bethesda stops by with surprise guests and an update on Dishonored 2. Xbox is with us to show off never-before-seen content from ReCore, plus we hear from Martin Garrix about his work on “Oops,” the theme for YouTube Live at E3. In addition, we are joined by Twisted Pixel to reveal their next game, and we get updates on Titanfall 2, Sea of Thieves, Deus Ex and more surprises. One of the biggest hours in YouTube E3 Live history kicks off with Gears of War 4, and a visit from CD Projekt Red. YouTuber StampyLonghead comes by live, and we get an update on Mass Effect: Ascension from BioWare’s Aaryn Flynn. Adult Swim Games visits, and we’re joined by iJustine, Nadeshot, CaptainSparkelz and more. Plus, at 3:30 p.m., Geoff is joined by a very special surprise guest. Trust you: You don’t want to miss this. Live from the Orpheum Theater, Aisha Tyler hosts Ubisoft’s annual E3 showcase, with new looks at Watch Dogs 2, Ghost Recon Wildlands, South Park: The Fractured But Whole and more surprises. We’re back at our studio with special guests from Nintendo, Cliff Bleszinski with an exclusive look at LawBreakers. Xbox’s Aaron Greenberg also stops by with a new announcement. More games come first to the YouTube Live at E3 stage. We go behind the scenes at Blur Studio to find out about their work on Halo Wars 2, Ubisoft CEO Yves Guillemot drops by, and we catch up with Oculus Studio head Jason Rubin. Double Fine’s Tim Schafer comes by to world premiere a look at Psychonauts VR, plus exclusive new updates on Dawn of War III, Hitman, Battlefield 1, Watch Dogs 2, Ghost Recon Willdlands and more. Plus, it’s the moment you’ve been waiting for: Angry Joe and Geoff reunite live on air, and other guests including Vikkstar123, JeromeASF, and Jesse Cox. Only YouTube takes you beyond the Xbox briefing with a special half-hour of Xbox news and announcements. First Xbox executive Shannon Loftis stops by to chat with Geoff and make a surprise Xbox title announcement, and get new details on Halo Wars 2 with Dan Ayoub from 343 Industries. Also Fullbright debuts a new demo of the [email protected] title Tacoma. Plus, Xbox’s Major Nelson stops by and more surprises. Don’t miss Lil Wayne live in the studio with news on his link to gaming. Plus Aisha Tyler drops by and we get ready for the PlayStation Press Conference with special guests Jade Raymond from EA, and Chris Barrett, game director from Bungie joins Geoff to share new details on Destiny: Rise of Iron. We get a exclusive look at Tekken 7, YouTube’s MattPatt comes by to talk about his new series Game Lab, CapyGames gives us an update on Below, and other surprises we can’t tell you about just yet. Plus, we’re joined by Game Informer’s Andy McNamara, Kotaku’s Stephen Totilo, and Elyse Willems from the FunHaus as we countdown to Sony’s PlayStation press conference. Live from the Shrine Auditorium, Sony Interactive Entertainment reveals what’s next for PlayStation. For the first time YouTube Live at E3 goes on location to the historic Shrine Auditorium for a special 90 minute live PlayStation press conference post-show. You won’t want to miss the breaking news and exclusive interviews with very special guests from Sony Interactive Entertainment and the world’s leading development studios. Plus, Conan O’Brien joins Geoff live for his take on all things E3, and we world premiere the E3 trailer for Kingsglaive: Final Fantasy XV. June 14 to 16 schedule to be announced. Nintendo of America president and COO Reggie Fils-Aime introduces “Nintendo Treehouse: Live at E3,” which will be dedicated to a day of live-streamed gameplay from The Legend of Zelda. This will be the world’s first in-depth look at the game, which will also include commentaries by Nintendo developers. The first-ever live gameplay of Pokemon Sun and Pokemon Moon will follow. Day two kicks off with a Pokemon GO developer Q&A, followed by a showcase upcoming Wii U and 3DS releases, including Monster Hunter Generations, Dragon Quest VII: Fragments of the Forgotten Past, and Tokyo Mirage Sessions #FE. The Xbox E3 daily show that covers all things Xbox at E3, “from breaking news and exclusive announcements to trailer reveals and interviews with game creators,” will return for E3 2016. The one-hour show will be hosted by Larry Hyrb (Xbox Live’s Major Nelson) and Graeme Boyd (Xbox Live’s Acey Bongos), and include a variety of guest stars and industry figures.